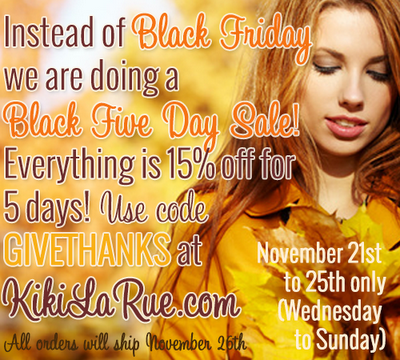 Positively Amy: Kiki La Rue SALE! In the spirit of Black Friday (I'm going out--are you??) just thought I'd let you fine ladies know about a fantastic sale going on at Kiki La Rue. The deets are below. I don't know about you, but I'm totally in love with this dress. Perfect for the holidays?? You betcha! It's just like the one my girl Ellen wore here. Hope you all have a WONDERFUL THANKSGIVING! Eat lots of turkey (or Tofurky) whatever floats your boat. xo.